Process all invoices with a single payment! Transfer invoices from one vendor to another. Create your own buying groups. Create an Invoice batch in AP and post it. 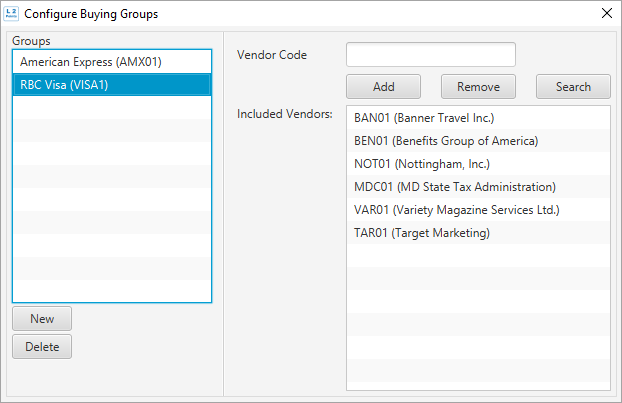 There are no restrictions to the number of invoices, vendors, or batches for transactions to appear in Link2 Points. Once you choose the credit card/buying group you wish to pay all invoices with, you can choose which invoices (or credit notes) you want to process. Simply pick the desired invoices then post them to create a Link2 Points batch. The L2P batch will contain two offsetting records for each invoice processed in L2P. One will be an invoice for the credit card/buying group and the other will be a credit note for the original invoice's vendor. Once the L2P batch is posted the new invoice and credit note will both be applied to the appropriate accounts. The new credit note will be applied to the original invoice as if you were creating a manual check.